Are you unsure of which roof sheets are the perfect choice for you? Are you uncertain of which fixings and flashings you'll need with your sheet roofing? Speak to our team online via the live chat in the lower right hand corner or call us on 01295 565 565. We will help you find the ideal sheets for your project and will ensure you have all the roofing materials you will need. 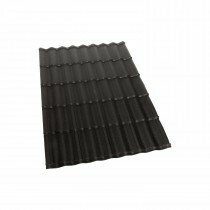 Roofing sheets provide a unique combination of incredible strength and easy installation, making them ideal for both DIYers and tradesman. 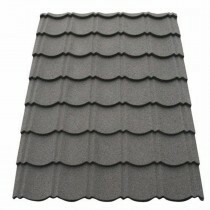 Sheet roofing is also available in a variety of materials. These include metal, bitumen, polycarbonate, PVC and GRP. Roofing Megastore offer one of the largest selections of roofing sheets online. This includes a variety of profiles as well as materials, including tile effect and box profile. This allows you to get the perfect appearance for your property without the difficult installation of traditional roofing materials. Our roofing sheets include several popular brands. These include Coroline, Britmet, Corrapol, Corotile and Onduline. All are recognised for their quality. Some also offer up to 40 years guarantee. This provides you with confidence in your choice of roofing material and the assurance it will adorn your property decades into the future. 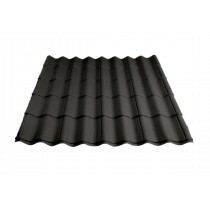 Roofing sheets are perfect for a variety of roof types. 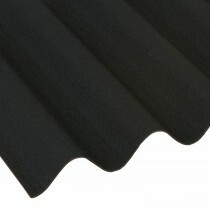 Bitumen sheets are ideal for sheds and metal sheets are perfect for garages. Polycarbonate and PVC, on the otherhand, is perfect for conservatories and greenhouses. Have Questions About Our Roofing Sheets? If you have questions about our range of roofing sheets, speak to our team by telephone or via the online chat. With over 40 years of experience in roofing, we’ll help answer your questions about sheet roofing. We will also help you pick the necessary fixings and flashings for your project. 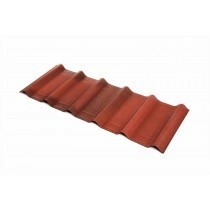 Roofing sheets are easy to fit and often wildly affordable when compared to roof tiles. All the while, they provide you with a selection of profiles to choose from. 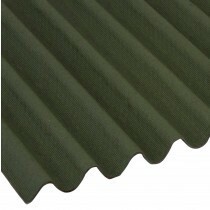 Due to the lightweight build of many panels, they can also be used on virtually any structure. 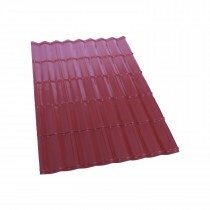 There are, however, a few common questions our customers ask before buying these roofing sheets. Below are answers to each of these! Are Roofing Sheets Better Than Tiles? Roofing sheets and tiles both do the same job. 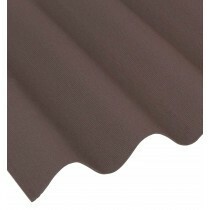 Unlike roof tiles, however, sheets are typically easier and quicker to fit. They also require fewer flashings and fixings than tiles, with there being no need for a membrane in most cirumstances. Metal roofing sheets will also provide a similar life expectancy to many roof tiles of 40+ years. What is the Life Expectancy of these Panels? The life expectancy of our panels can vary. Whilst bitumen and PVC sheets will typically last in excess of 15 years, metal sheets can withstand 40 years of tough weather conditions. Polycarbonate roofing sheets can adorn your lean-to or conservatory for 20+ years if cared for properly too. What is the Minimum Pitch for Sheet Roofing? Roofing sheets can be fitted on to pitches as low as 5 degrees, although you may need to increase the overlap to accomodate this. The majority of our sheets can also be fitted at a 90 degree angle. This makes them an ideal cladding solution too. Can my Panels Be Cut to Size? Whilst bitumen and PVC sheets will need to be cut on site, cut to size polycarbonate and metal roofing sheets are available from Roofing Megastore. This allows you to maximise the converage of your sheets whilst minimising wastage. If you have more questions about our roofing sheets, speak to our team online or by telephone. With over 40 years of experience in roofing, we'll help answer your questions and will ensure you have everything you'll need to complete your roofing project.